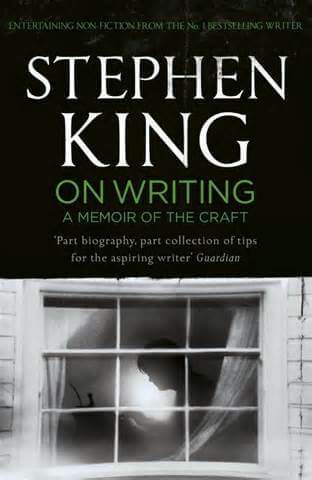 If you’re looking for a comprehensive, step-by-step guide to becoming a better writer, Stephen King’s On Writing: A Memoir of the Craft is not the book for you. But that’s what I liked most about it. Rather than hitting us with a set of opinions as to why his writing has been so successful, and a 5-point plan to tap into those supposed ‘principles of best-selling writing’, King gives us a living example of excellent, transparent writing in the text of the book itself. On Writing doubles as an autobiography and a writing guide, starting off by walking us through some of the highlights of King’s life via a succession of vivid, oft-times humorous memories. It was here that I really felt that I began to know and understand the writer behind the veil of success – as if his words had closed the distance of time and space between us and set me down on the other side of his desk. It was the truth-speaking clarity of his prose – despite my dislike of his crude, sometimes vulgar content – that told me there was something I could learn from this man. And learn I did. Having proven himself one of those few writers in possession of a natural, honest writing voice – which holds far more weight for me than the most Solomonic writing advice issued by a textbook – King began to lay out the tools of the trade in the second section of the book. It was here, in rummaging through the different levels of the writer’s toolbox, that King showed me the magic of story-telling. It wasn’t exactly what he said (many of his admonitions and rules were things I had heard many times before) as much as how he said it. King’s prose illustrated every rule that he was teaching in an organic, subconscious unity of form and content. I don’t even think he was actively trying to do that, but he’s a writer. And that’s what writer’s do. Most important of all, King does not lay down the 10 Commandments of Writing. He has not forgotten the magic of what he does, and reminded me again and again that the principles and tools outlined in On Writing: A Memoir of the Craft are like scaffolding, not a foundation. The actual substance of the monument a writer builds is something that flows out of the individual, and no set of rules can truly control that process. On Writing presents Stephen King’s personal approach to writing; and as such, it cannot be applied to everyone equally. But I really believe any writer will benefit from giving an honest listen to what he has to say. He is a master of the craft, and this book proves it. However, King is definitely not a whitewashed wordsmith, nor does he shy away from critiquing potentially offensive passages in other authors’ works, so I cannot entirely recommend this book for any reader. So to all you bookworms out there: consume with caution; indigestible material may be encountered throughout. With that out of the picture, this is one book you should read – and put into practice – if you’re serious about writing.